I prepared brunch this morning in the company of King Hock's cousin who was visiting us from New York. 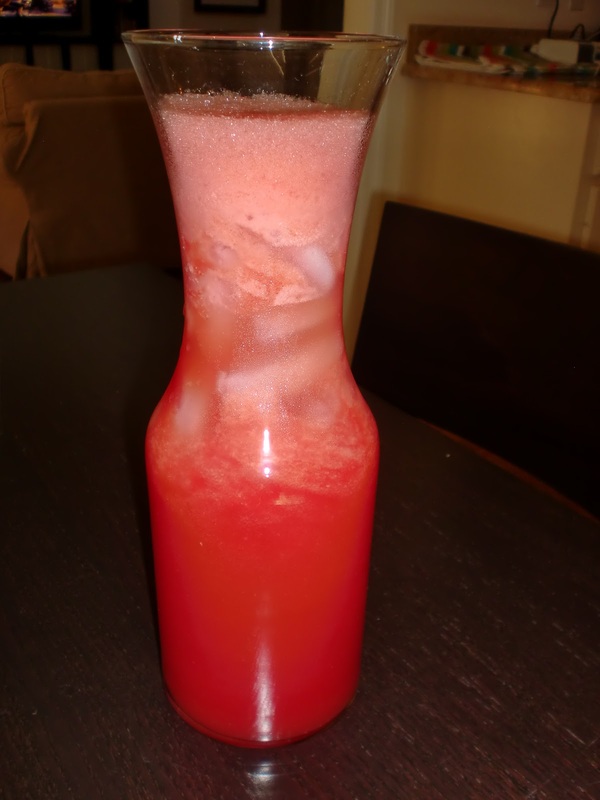 As I was cutting the watermelon she filled me in on an amazing thing to do with watermelon, make juice. I was suprised how easy it was to make. The result was delicious and very refreshing. If you like watermelon, definitely make this healthy treat. The only tool you need is a blender. Fill the blender 3/4 full of watermelon. Add the water. Blend until liquefied. Taste to see if it needs agave, add according to your preference for sweetness, maybe 1 tablespoon. I didn't have to add any. Chill until ready to serve, best served immeadiately with or without ice.